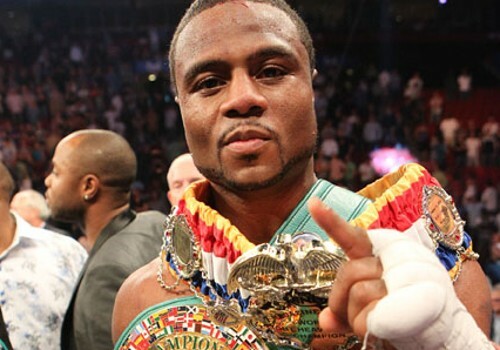 Light Heavy Champ Jean Pascal who will be taking on Bernard Hopkins in a rematch of last years controversial draw, will start his training in Montreal this week and then move to Jacksonville, Florida, by February 20th. In Jacksonville, Jean will work for a month with the physical condition specialist of the Jacksonville Jaguars (NFL) players, Luke Richardson. After that, Pascal will move to Colombia, to work three weeks in the Colombian mountains, near Cali, at the National Sports Colombian Training Centre. Pascal will have a great preparation for Hopkins, even better than last time. In Colombia, Jean will be under the control of Pedro Diaz, a Cuban's trainer who developed 28 olympics champions for Fidel Castro, and Ramsay. Daniel Cloutier: You said that Pascal HAD great preparation for the first fight also, but the night of the fight, December 18th, at Colisée Pepsi in Québec, your boxer looked tired after five or six rounds, and Hopkins won clearly six of the last seven rounds. Marc Ramsay: If Jean looked bad in the second half of the fight, it was not a physical problem, or an energy problem. Hopkins made great adjustments after the 5th round, to prevent Jean from hitting him. Jean became more and more frustrated, and with the frustration playing in the mind of a fighter, it provokes a mental fatigue. I am positive that Jean, who studied seriously the Hopkins moves in the ring since December 20th, in watching videos, will know what to do in the rematch. I am absolutely sure that this time, Hopkins will not complain that he has been robbed!